” Endgames often give rise to the most difficult and pivotal moments of a chess game. 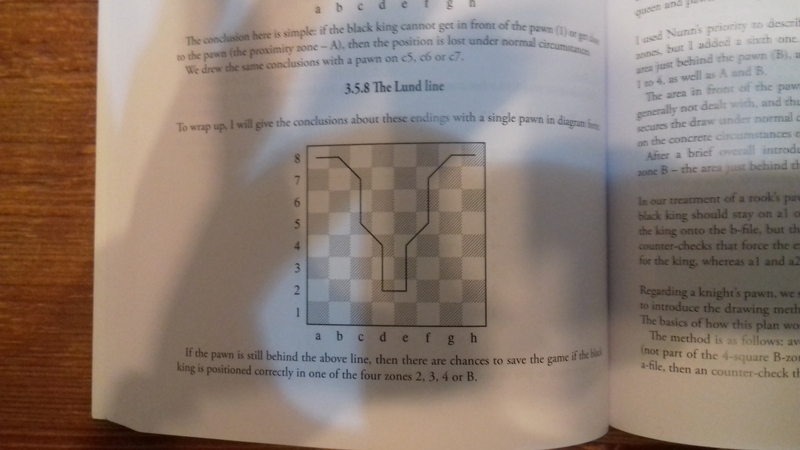 In Sharp Endgames, International Master Esben Lund tackles this crucial topic in a unique and innovative way, focusing on the 16 Parameters involved in this type of decision-making. Looks like a gold mine of knowledge. Who wouldn’t want to learn about the Lund Line? The most modern game in the games list is from 2014. Chapter 2 heading has Ulf’s last name spelled wrong so not a good start. Posted on December 1, 2017, in Uncategorized. Bookmark the permalink. Leave a comment.